My first run after the Boston Marathon and my first run adding the Polar Wearlink+ to the Nike+SportsWatch GPS. Expect for some hamstring pain and general tiredness felt pretty good. Out in Park City, Utah for work. Was joined by Nicole and Krystina who both ran Boston and live in Park City. We often run together when I am out there. Today's run from the Basin Recreation Center to Willow Creek and back. A relatively flat run along hard pack bike paths with a little less than 2 miles of paved bike paths. While the ski areas are closed the slopes are completely covered and looking great. I added the Polar Wearlink+ Heart Rate Monitor to the Nike+SportsWatch. I believe this is a special version of the Polar designed for Nike+. 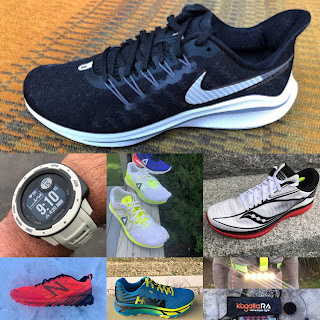 See my other posts about the Nike+ here, here, and here. The instructions said to copiously wet the area under the 2 sensors. Unlike the adidas miCoach Pacer this area is more like a fabric than a slick rubber surface. The watch instantly picked up the heart rate monitor and shoe pod. Even though I had traveled 2000 plus miles from NH and had not connected the watch to my computer the GPS was found in less than 20 seconds. 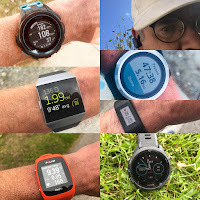 I suspect and have heard that being further south and more central in geography that GPS units has a better view to satellites and thus acquire more quickly. I was surprised as with my older Garmin 205 such a change in location often requires telling the unit I had moved several hundred miles. The results are shown below. The heart rate capture (red line) was erratic the first 1.5 miles. 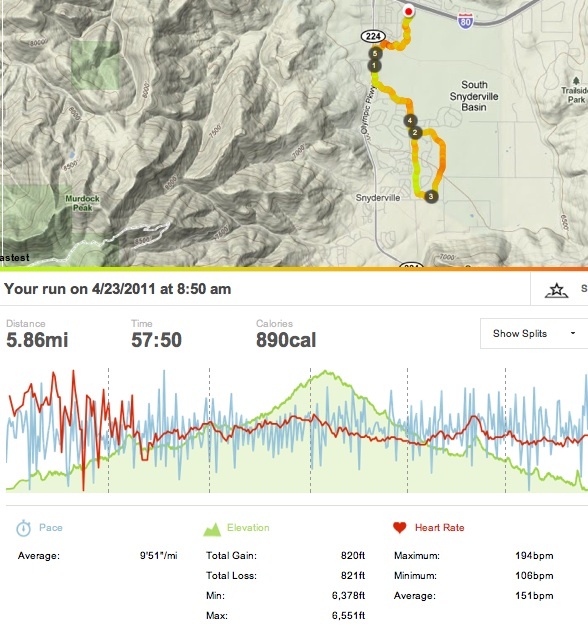 I also found this with the miCoach Pacer but it could also be that in my first run since Boston and at 6400 feet my heart was racing! Update: I ran again today with the heart rate monitor and the capture was erratic for almost exactly the same 12-13 minutes as the first run. I wonder if cool weather and potentially sweat/moisture and body heat needs to increase enough to make a keep a steady read. I did wet the strap but between wetting and running some minutes went by. The green line is elevation. The pace graph (blue line) is very spiky and this is not a surprise. The SportsWatch just doesn't do instant pace very well. I hope and have heard that Nike will be adding average pace and more smoothing by July.
" I hope and have heard that Nike will be adding average pace and more smoothing by July." Then It will be almost perfect!!! This is Juan from Spain. What software did you use to get the output you are showing in this post with the graph with heart rate, pace and elevation all togetheter? With Nike + I just manage to see them three separately. Grat Post by the way. To see your Nike+ Sportswatch GPS run with heart rate, pace, and elevation together. When you are on the normal GPS track view you should see a red triangle in a box near the top of the page. The box says "Nike+Maps Beta" and clicking there should take you to the view I posted.